I had been to Koyna Backwaters twice; first time from Tapola and second time from Bamnoli. It was limited to a boat ride for half an hour. 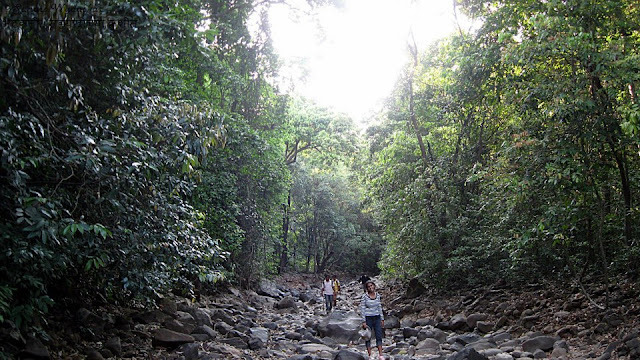 Both the times I felt very mystical looking at the Koyna forest and there was intense desire to visit it once in my life. 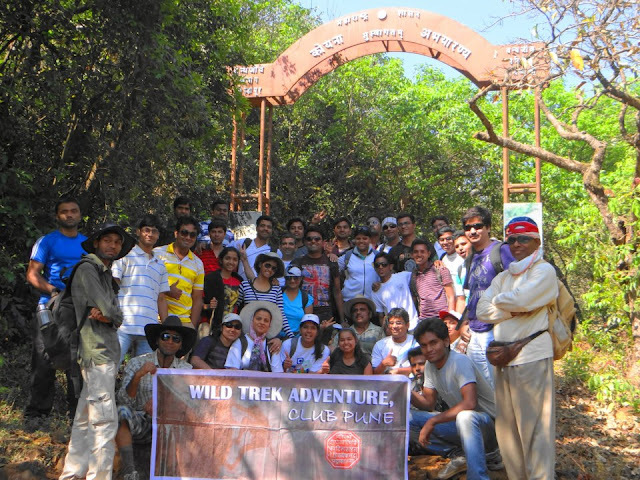 Finally, I got the opportunity to experience the real thrill of visiting it with Wild Trek Adventure (WTA) group. Though this trek was planned by WTA Group in advance, I joined it almost at the last moment. 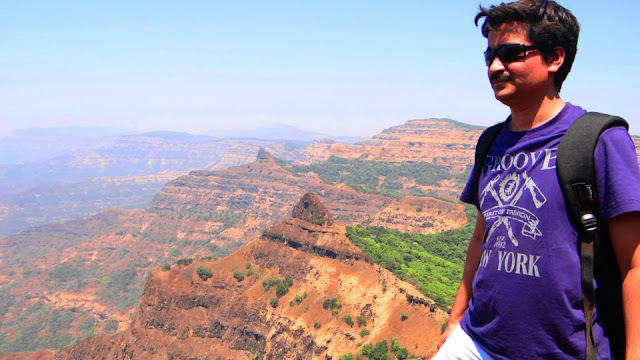 Once I got to know about the cancellation of my trek with Trekdi group to Ghangad-Korigad falling on 17th Mar 2013, I immediately called Sandip of WTA with whom I had done earlier treks of Kalsubai and Rajgad. He told me that already seats were full and asked me to confirm with Prasad. After calling Prasad, he said that as there were already more members, he was thinking to book another vehicle and he confirmed in 15 minutes that vehicle was arranged and I could join them. I was over the moon after this confirmation and packed my backpack to prepare myself for the overnight trek. Sandip and Mumbai Group who landed the bus from Panvel came to Shivajinagar around 6 PM and I joined the group. Few members joined at Swargate, few at Katraj and finally we started our journey. Other group of 9-10 members were travelling by Sumo. In total, we had a group of around 42 people, a very large number indeed. We had a nice round of Antakshari as we had to travel for almost 4 hours. Mumbai Group was very enthusiastic and some members started dancing inside the bus. Because of all enthusiastic members, our journey to Tetali village (Next to Bamnoli) turned out to be very pleasant. After reaching to Tetali, we freshened ourselves and had a dinner of Poli, Batata Bhaji and Amrakhanda.It was delicious and we thoroughly enjoyed it. After dinner, Prasad and Co. prepared campfire and soon everybody was at the campfire. At the campfire, there was an introductory session and everybody was asked the reason to visit Vasota. Some of the replies were really funny: An uncle told he just loved trekking and even if Vasota would have been Kasota, he would have visited it. Many of the people told that they were planning to visit Vasota since long time and they decided to join WTA as soon as they saw the advertisement. After campfire, it was past 12AM and it was time to sleep. Some people opted to sleep in the tents while rest of the people preferred to sleep on the mats. There were million of stars shining in the sky and I didn't remember when I slept while gazing at the stars. Many of the people kept on chatting whole night and just had a sleep around 1-2 hours. I slept around 3-4 hours and got up around 5.45 AM. 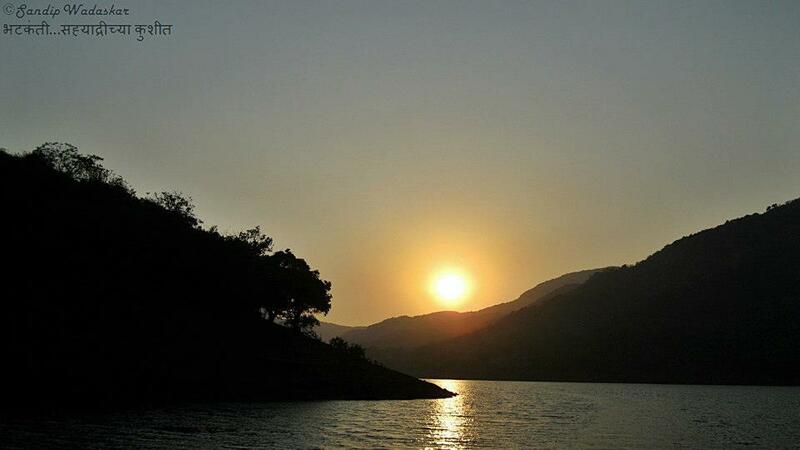 We were greeted by a fabulous Shivsagar lake view once we woke up early in the morning. We had a nice breakfast of Poha and Tea. Finally, it was time for our boats to arrive and there came our two lovely boats. The faint looking mountain in the background is Madhu-Makrand Gad and there is Tapola on the other side. 20 members landed on our boat and other 22 members on other boat. Our first stop was at Bamnoli where we had to take permission from forest department to visit Vasota. Finally, our boat journey to Vasota got started with the picturesque setting all around. Everybody was enjoying the boat journey with spectacular views all around. After boat journey of more than an hour, finally Vasota became visible. (Middle in the picture). As you can see, almost 75% of Vasota is covered by dense forest and only 25% is exposed. Views all around were so beautiful and everybody was clicking pictures. The boat which was ahead of us suddenly turned back and started backward journey. We were surprised and asked them what had happened. Thing was that while clicking the pictures, Sachin lost the grip of camera and it went inside the lake and they visited the spot to see whether they could recover it. Poor Sachin! Finally we reached at MET Indavali village from where we had to start our trek to Vasota. 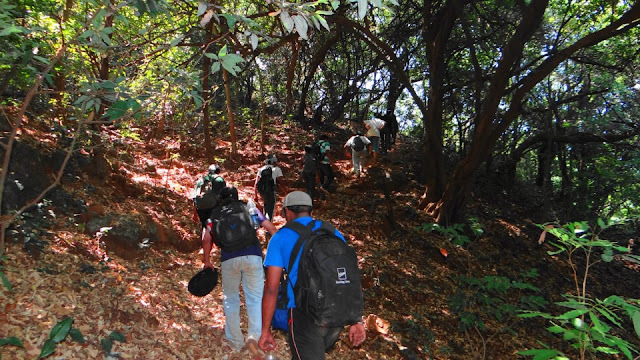 After entering the above gate, we started our trek to Vasota through the dense forest. After walking for 5 min, we came across a tiny Hanuman and Ganapati temple and we proceeded after taking blessings. Trekking through the forest was thrilling experience as it hosts a lot of wild animals including bears and leopards. As we had quite a large group, there was remote possibility of spotting one. Bear, where are you hiding? Finally, we trekked successfully through the dense forest and we then got exposed to scorching sun. But we were almost there then and Vasota top was within the striking distance. 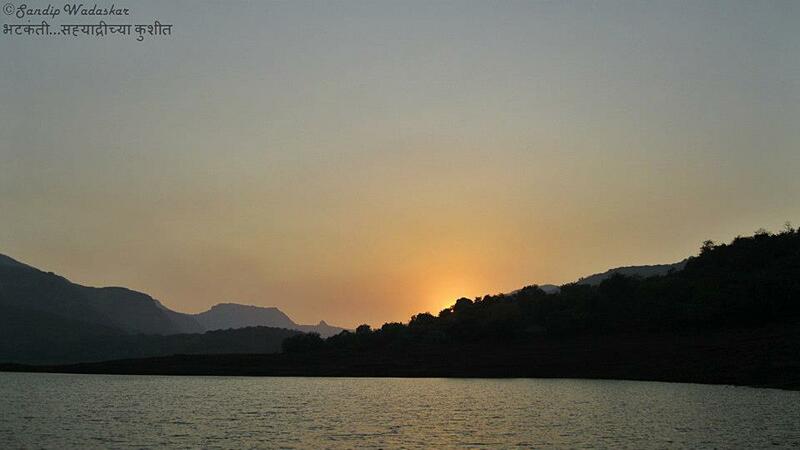 Looking back, view of Shivsagar lake (Koyna Backwaters) was enchanting. 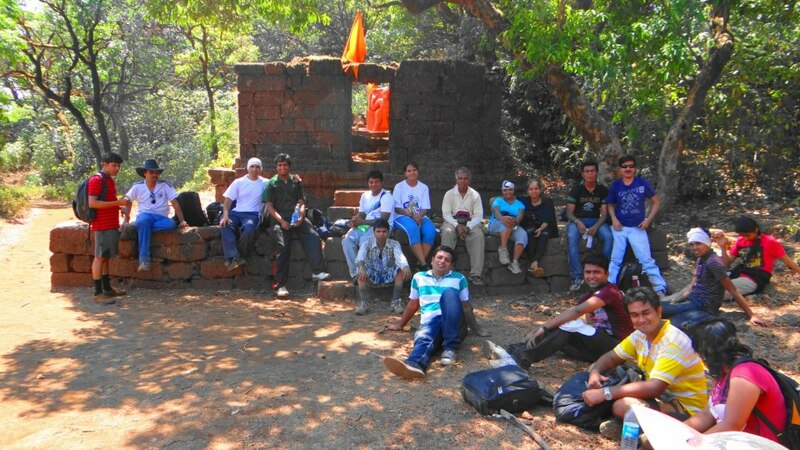 Most of the team members reached to the top in almost in an hour and we had a well deserved rest for 10 minutes in front of Hanuman Temple. We then had a small guided tour of Vasota top led by Prasad. We came on the West side where we witnesseed spectacular views of two peaks - Old Lady's Thumb (nearer peak as seen in the below picture) and peak hosting Nageshwar Caves (remote peak as seen in the below picture). 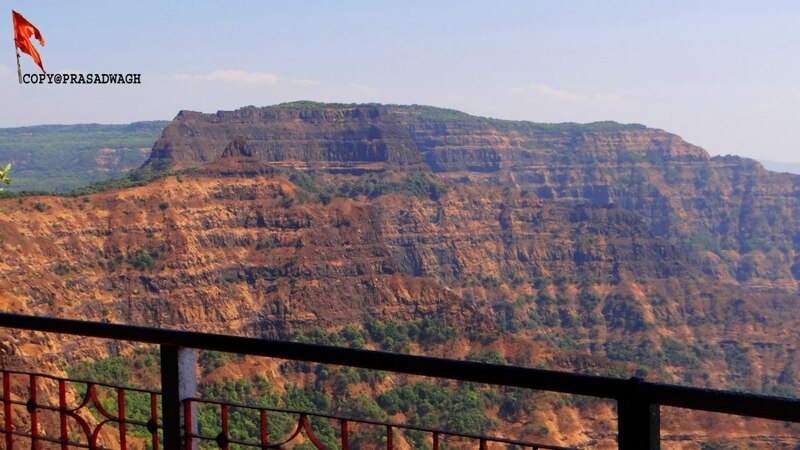 As there is Konkan region on this side (Base Level: 0 to 200m) , all the peaks of this side appear taller. Small lake on Vasota where members filled their drinking water bottles. We then proceeded to witness Babu kada (Maharashtra's second highest cliff after KonkanKada of Harischchandra Gad). Babu kada is part of Old Vasota and we were witnessing it from New Vasota. After coming back from witnessing Babu Kada, we had our packed lunch (Methi Thepale and pickle) in front of Hanuman Temple. 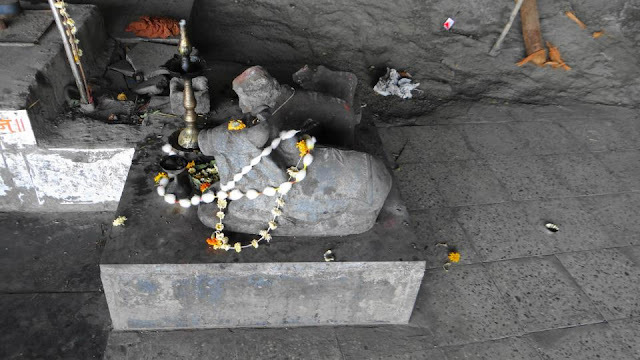 After lunch, we visited Mahadev Temple still standing tall since last many centuries. We then proceeded towards "Nageshwar Caves" - our next destination. 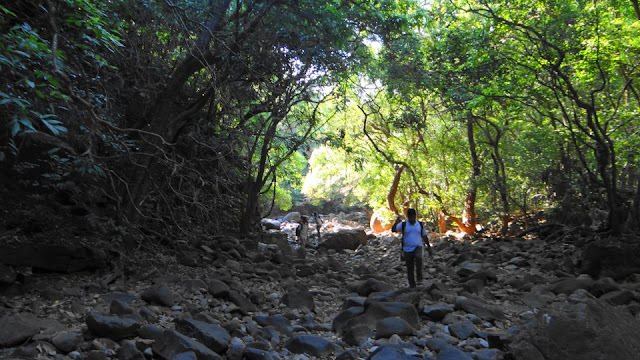 After walking for 15-20 minutes through the thick forest, we were almost at the dead end and we had to walk on the narrow path to reach to Nageshwar. Route to Nageshwar is a scary one. There is a deep valley on one side. One wrong step and you will be gone to the point of no-return! I was proceeding smoothly on this route without looking at the deep valley. Suddenly, I had the urge to look down to see how deep it was! And after looking at the infinite height, I lost confidence for a moment to proceed further and stuck on the route for couple of minutes. I deviated my attention to other topic and there I was, again walking smoothly on the walkway! One of the girls from our group had really a hard time and started crying thinking what would happen to her mother if she fell down! Finally, Nageshwar caves were in sight. What a relief! Just few more steps for the final frontier! Absolute wonderful Nageshwar Caves! Carved right through the peak of the mountain! Hats-off to the creator! Route to Choravane Village in Ratnagiri district. It takes around 4.5 hrs to climb to Nageshwar from this route. This could be one splendid trek. Finally, it was time to descend and go back to our respective boats! We had two options to reach to the base; the same route from where we came and other route which was through a big stream. Considering the scariness of the first route, we were relieved when we came to know about the alternate route. But alas! This route was more torturous and demanding for all of us! This was the entry of this alternate route and here, one of the girl members had cramps! After having Glucose water, she felt better and all started descending. This route literally had thousands and thousands of rocks of various sizes and shapes! We needed to be extra cautious while taking each step to avoid twisting of the legs. Beautiful route surrounded by dense forest on both sides! Well, beautiful when you are with the group and scary if you are left alone. There were around 30 minutes of this journey when I was walking alone. Nobody was visible ahead or behind! There was no sound except chirping of birds and my footsteps. I was just imagining the scenario of some wild animal coming my way and how I would react. It was really a thrilling experience. The reason I was stranded in between because I could not match steps with the faster group and I was far ahead of the slower group. Fortunately, nothing happened and I joined other members soon. After this point, I joined Sandip who was sitting near the small pond with small fishes. We rested for 15-20 minutes and were waiting for other group which were behind us. These 15-20 minutes were magical and we spotted many different types of birds and butterflies near the pond. Unfortunately, my camera battery was discharged and I could not take photographs of these wonderful birds! Till we were witnessing these beautiful birds, other group came from behind and joined us. Still, we were not sure how much time would be required to reach to the base. Nobody (including our guide) had visited this route before. This route was never ending and at one point, we were just exhausted and cursing why we chose this route. After almost walking for 2 hours, finally this route joined to the main route where Nikhil and other members were waiting for us. Finally the ordeal was over and we reached to the boat. Our first boat was already gone with members who did not visit Nageshwar and our first group of Nageshwar led by Prasad who reached early. While coming back, we witnessed a partial sunset which was still beautiful. (Photo captured from Sandip's camera). 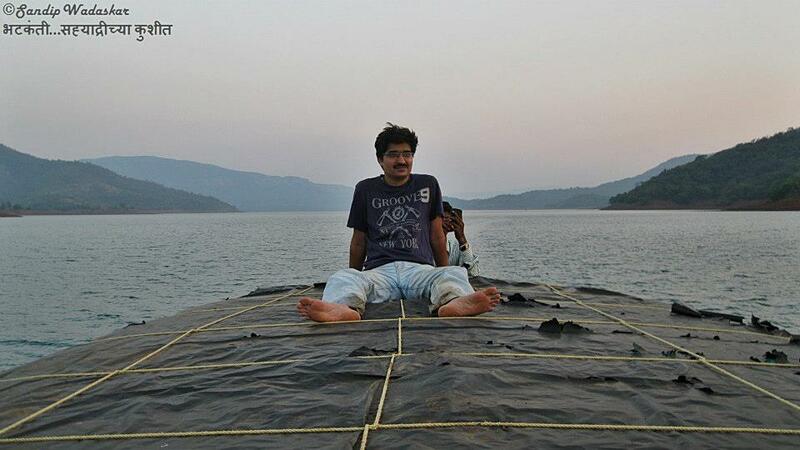 I made friendship with the boat captain and obtained the permission to sit on top of boat! Cool breeze with mountains in all four directions swept away all the tiredness. After reaching to Tetali village, we had an amazing dinner of Bhakari, Bhaji, Varan-Bhat. Boy, all were hungry and gorged on the food. Finally, it was time to return to Pune. We started around 9 PM and reached to Pune around 1.30 AM. I reached home around 2AM safe and sound. 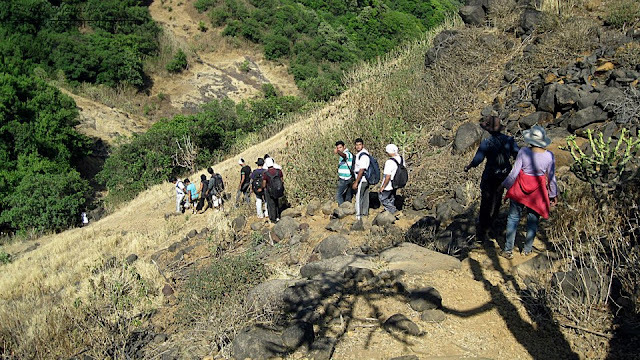 This trek definitely tested our stamina and patience but gave us ineffable sense of joy. Memories of sleeping under the sky full of stars, amazing boat ride amidst the mountains and turquoise water, walking through the dense forest , view of Konkan from the top, towering Babu kada, deadly route to Nageshwar Caves and tortuous and never-ending rocky route while climbing down would remain with me for a long, long time. You can reach to Vasota via Bamnoli (via Satara) and Tapola (via Mahabaleshwar). You need prior permission from forest department to visit Vasota. This is the heritage sight and you are not supposed to do anything that will disturb the nature. Halting on Vasota is not allowed now-a-days. You can halt at Nageshwar Caves. Covering Vasota and Nageshwar Caves in a day is quite tough but can be done. Carry enough water (at least 3 lit) if you are not comfortable drinking water available on Vasota. Walk in a group and don't be left alone. Thanks for reading the blog! Hopefully, you had a great time reading it. Thanks Prasad! You are my inspiration in the trekking field. This could not have been possible if you people hadn't arranged this trek.. Very nice blog Prashant. Properly written with detailed info ... The snaps especially the last one where you are sitting on the boat is superb. Keep writing the blogs which will definitely benefit others. Me too visited Vasota while reading your blog. Keep writing and keep blogging. Thanks Prasaad... Very useful info... and awesome blog...!!!! Thanks Hrushikesh for your comments! Hello Prashant, you really write very nice, i need a small favour, i was planning to visit this place on this weekend, can you tell me from where to take the permission to visit the wildlife sanctuary, do we have to take it few days in advance or we get it on the spot, and whats the procedure..Thanks In advance. You need to take permission from forest department at Bamnoli. You can take the permission on the spot. Fees are nominal. Thanks Vinay! 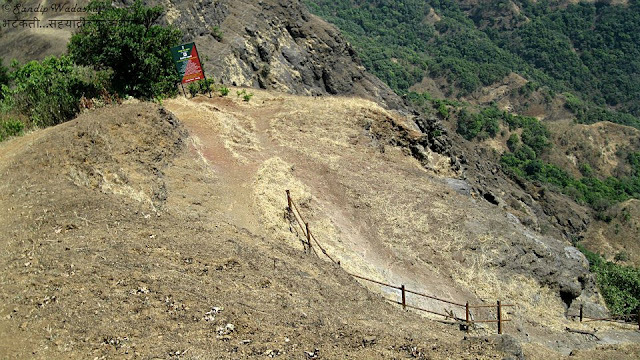 Yes, trail to reach Nageshwar caves is narrow and you need to be very cautious. There are many wild animals in the jungle; but if you go with a group, there is a less probability of sighting them. But you never know! Its always fun to go to vasota. 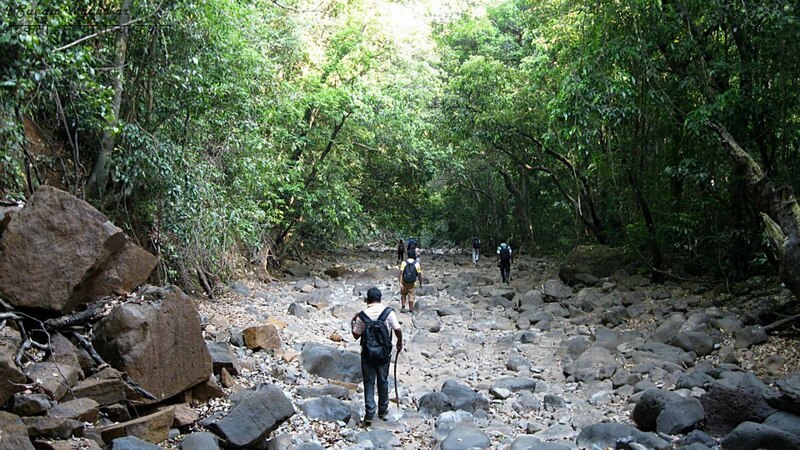 I was lucky to do the trek via Choravane village. 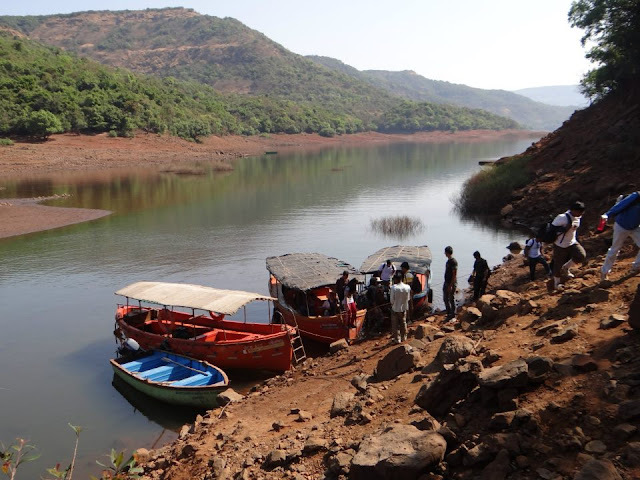 We got buses from Pune to Chiplun and then from Chiplun to Choravane. from Base village Choravane, it takes approx 5 hours. Its very tiring but extremely adventorous. It is one of my best treks till date. 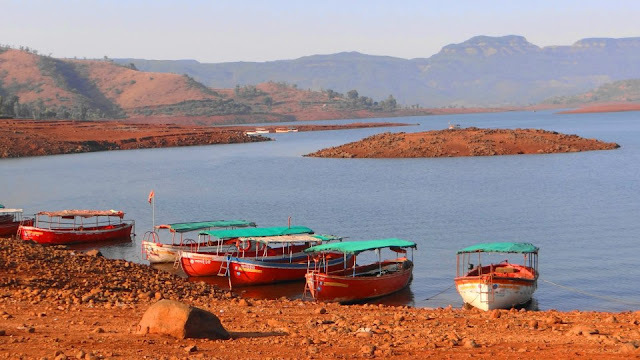 I was nostalgic for a moment after seeing pics of Nageshwar - Vasota. Thanks for posting those pictures. Keep trekking. Thanks Siddharth! 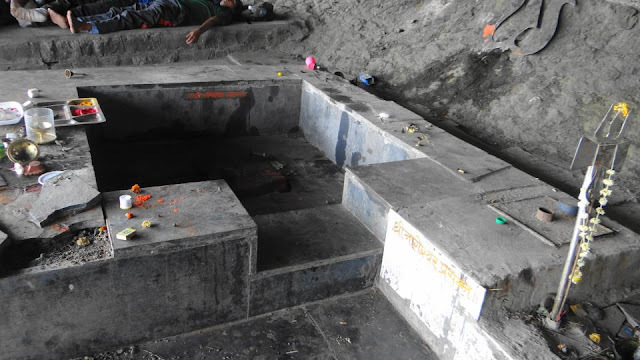 I also intend to visit Nageshwar Caves via Choravane village in near future.